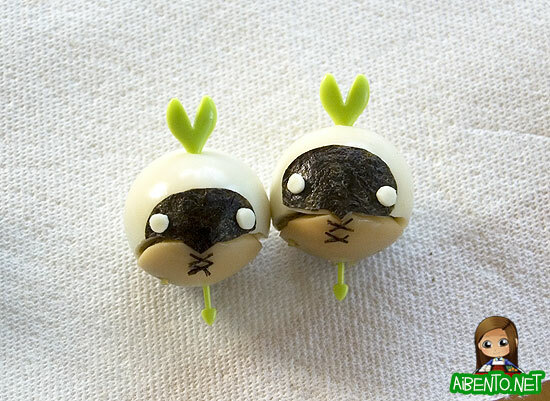 A couple of months ago, I made an FFXI tiny mandragora bento and never did get around to posting how I made the heads. Today I’ve finally got the step by step photos of how to make them so that my FFXI blog fans can give it a go themselves. It should be noted now that I use a certain type of bento pick for their tops. If you don’t have these, you can use something like a radish sprout and insert it after cutting a small hole. I’m not sure how well this will turn out if you use chicken eggs, so try to get quail if you can. Boil them and peel them. The eggs will probably be flat on one end and pointy on the other, so you’ll have to wrap them in plastic wrap while they’re still hot to get them into the nice oval shape of a mandragora head. Place them in the fridge to cool. 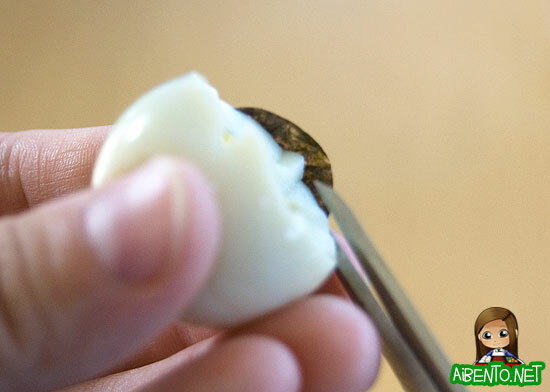 With a small knife, cut the bottom half of the egg off, leaving a small little pointed top, like shown above. Cut through and remove the bottom piece. 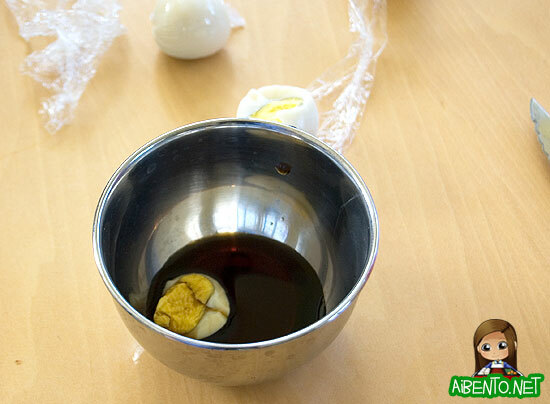 Soak the bottom egg white in soy sauce until it’s a nice brown color. 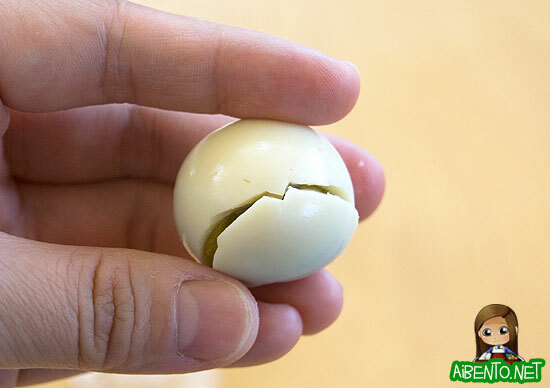 Try your best not to remove the yolk, as you’ll end up with a gap in your egg and that’ll make it hard to put back together. When you have the color, place the bottoms on paper towels to dry. Fold a piece of nori in half and cut some ovals out. I had to try several times to get the right size and cutting two at once ensures you have two of the same size when you’re done cutting. 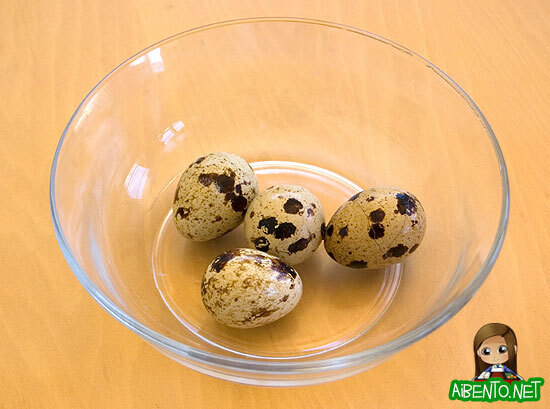 Gently moisten the front of the egg and place the oval on its face. 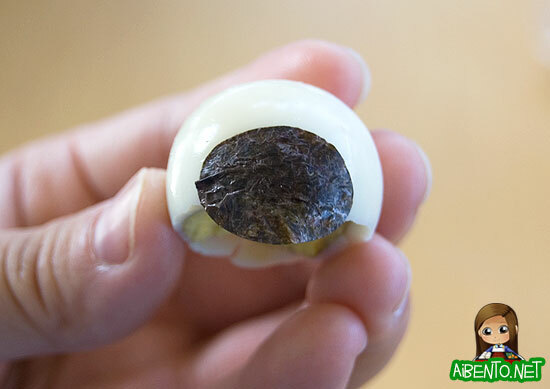 Flip the egg over and cut off the excess nori with a scissors. Add the bottom brown piece to the egg and pierce with the food pick from the top. If you’re using radish sprouts, pierce with a toothpick, letting the pick’s end go into the egg. Place the radish sprout in the hole the toothpick made while using the toothpick to hold the two pieces together. 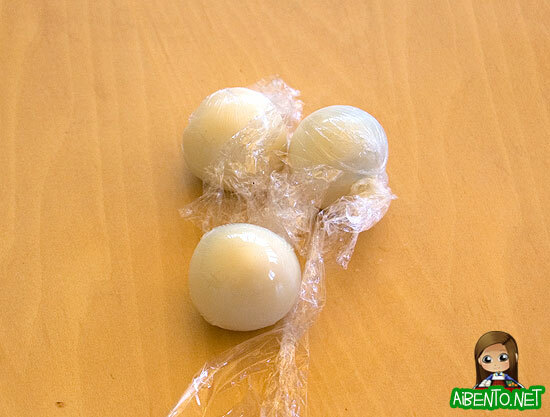 Use a piece of coffee straw to cut out the eyes, using either cheese or some egg white from the back of the eggs. If using cheese, slice the little circle again to get thinner eyes. Cut tiny strips of nori for the stitches and apply with a toothpick.